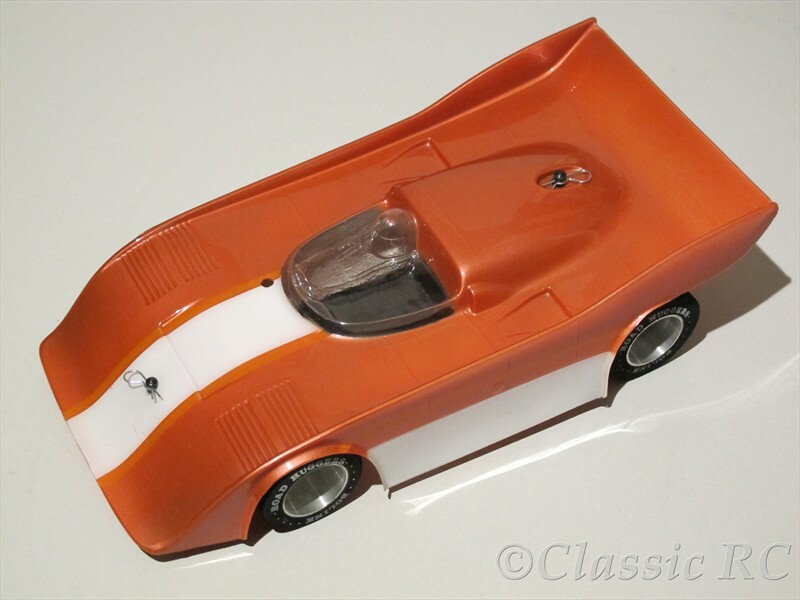 Jerobee introduced their McLaren MK8B as the first 1/12 scale production car in early 1972, powered by a small Cox gas motor. Later some drivers as legendary Gary Kyes used motors and batteries from electric hedge trimmers for a conversion into electric cars. In the end Jerobee started also selling a 1/12 electric production car in 1974, again the very first of it´s kind. 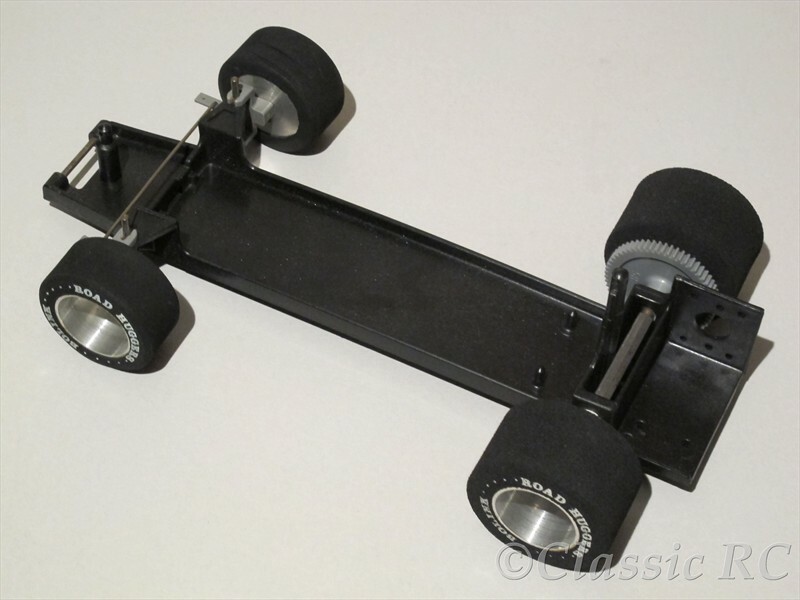 This finally started one of the most succesful racing classes in RC car history, 1/12 electric. If you compare our Jerobee Electric car with the Jerobee McLaren MK8B gas car you will notice it is basically the same car, using just a small number of parts overall. So easy to build and maintain, also very lightweight. The one piece chassis mould also contains the front end mount, rear axle mount, motor mount and rear body post. 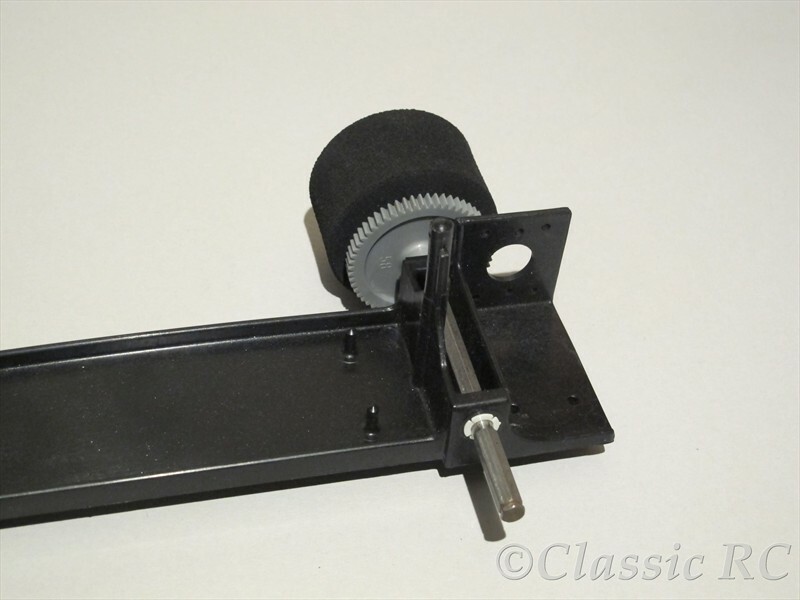 The spring type front end is used again as the hexagonal steel rear axle and plastic spur gear. Just the small Cox gas motor with pull starter, centrifugal clutch and tank is missing, so an electric 05 size motor could be used now. 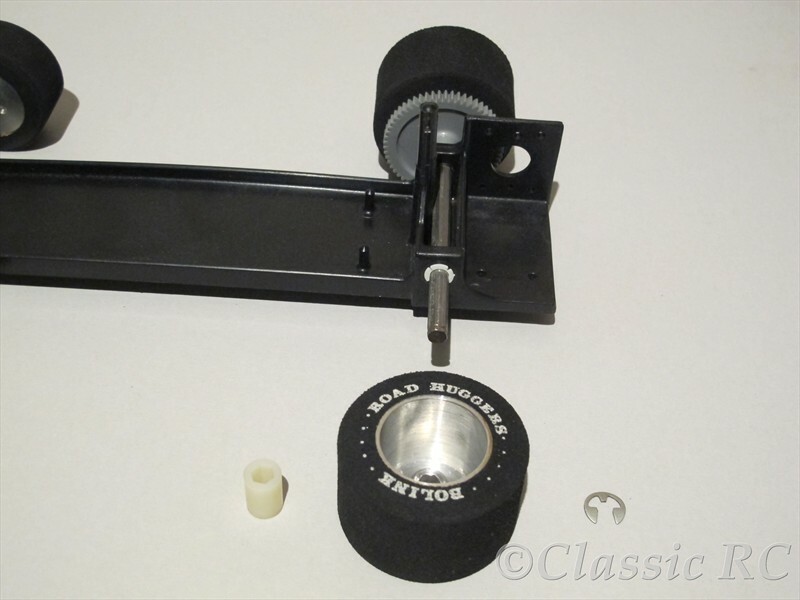 The front body post was a new part as the old hinge type mount could not be used with the new Lexan bodies. In the beginning the Jerobee gas cars were using moulded rubber type tires, these were replaced later by foam tires. Our Jerobee car is wearing some very rare Bolink aluminium wheels and Road Huggers foam tires, also a rare Jerobee/MRP Alfa 33 Sports. 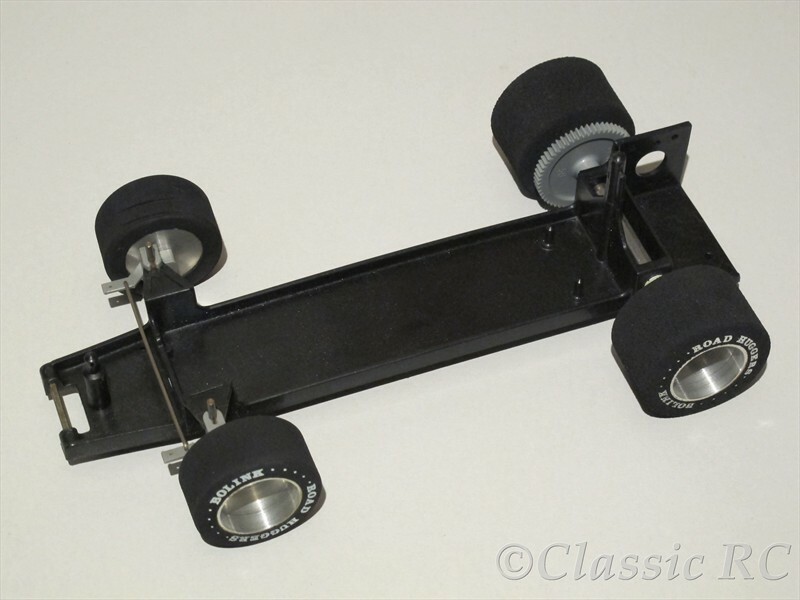 From what we found, this is the first Lexan type 1/12 scale body and had been introduced in 1974 with the Super Jerobee, an advanced version of the Jerobee gas car. 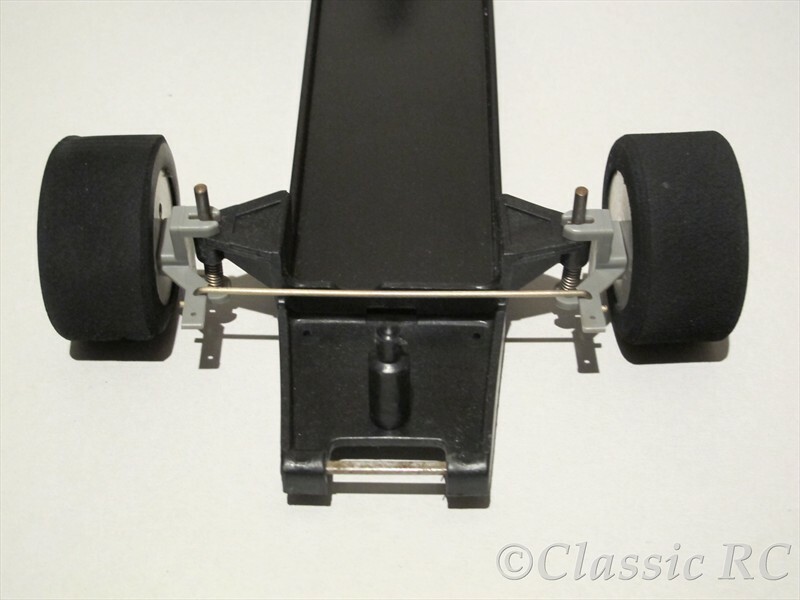 Soon after the Jerobee car was introduced, some companies started making option parts as battery mounts or bumpers for this car, later they sold also their own cars based on this chassis. Some of these cars had been Bolink, Parma or Electro Craft, overall the Jerobee type cars were sold until the early 80´s.